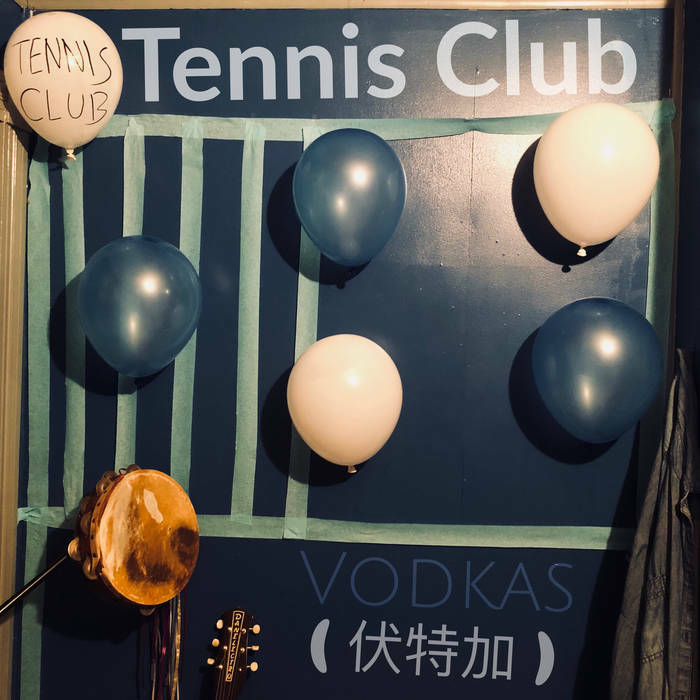 There was a fair bit of love for the eponymous Tennis Club debut album among janglepophub readers when it was reviewed here earlier in the year. As such we are delighted to hear that Missouri based Winston Hernandez and his revolving panel of drummers (this time producer Sean O'Dell is on the sticks) are working on new material for an album due out in early 2019. Vodkas (see below) is the first taster of their new material and it simply oozes with the sort of sweaty humidity that is their signature awkward surf pop sound. However, as with so many of the tracks on their debut, there is always that sense of left field and skew that prompts the listener's originality radar to beep. Here the unique is fostered by adding all manner of surf pop bells and whistles around eerie cod nursery rhyme lyrics, including the fluttering percussion of traditionally fragile 80's jangle-pop, bouncing unobtrusive 60's west coast pop style melodies and twanging guitar riffs that compete for attention against a back drop of shoegaze vocals by being pitched just that too evasively. Altogether it is a wonderful mix...altogether it is unmistakably and essentially Tennis Club.